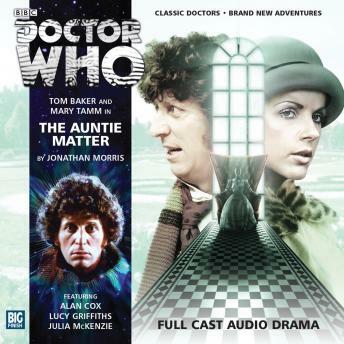 Listen to "Doctor Who - The 4th Doctor Adventures 2.1 The Auntie Matter" on your iOS and Android device. With K9 off in the TARDIS leading the Black Guardian on a wild goose chase, the Doctor and Romana are enjoying life in a London townhouse. As the Doctor dodges deadly butlers, Romana faces a malevolent Aunt and an even deadlier peril - marriage!